During the last four years, the Leading by Example program at the World Summit of Nobel Peace Laureates has attracted brilliant students and young professionals from top universities and organizations from all throughout the world. Among participants of the program during the last years were professors and students from the following Universities: Columbia University, Constanz University, East Stroudsburg University, Geneva Graduate Institute, Harvard University, Haverford College, Heidelberg University, Occidental College, Princeton University, Quinnipiac University, Soka University of Tokyo, United Nations University, Universidad de los Andes, University of Cape Town, University of Massachusetts, University of Southern California, University of Winchester, and Yale University, among other notable institutions and organizations. The Leading by Example program provides youth delegates the unique opportunity to interact with Nobel Peace Laureates, experts, and academicians through a carefully curated curriculum in which they will attend a series of workshops following the morning’s plenary sessions. In addition to the workshops, youth delegates often cite the opportunity to network with other young leaders from every corner of the world as being one of the most important features of the program. While there, youth delegates have the opportunity to network and collaborate with one another which leads to friendships in peace-building for many years following the event. President of the Permanent Secretariat of the Summit, Ekaterina Zagladina: “We are committed to increasing opportunities for young people to give back to society through their many emerging talents. As such, we are pleased to offer Turner Social Change Prize totaling up to $10,000, named in honor of the Turner Family, which will be awarded to the youth delegate or shared between several delegates with the best idea to affect change within his or her local and/or global communities. While there are many impressive and inspiring applications submitted annually, the winning applications are shortlisted by the Nobel Peace Summit Youth Committee – CO-chaired by Laura Seydel, Captain Planet Foundation Chairperson, and the Executive Director of the Albert Schweitzer Institute, David Ives, and the final winner is selected by the Nobel Peace Laureates.  The award is presented to the winning youth delegate or several delegates at the closing ceremony of the World Summit of Nobel Peace Laureates, in a truly emotional event”. As the result of the each year’s Leading by Example program, youth delegates work together to draft and present the official Youth Declaration of the World Summit of Nobel Peace Laureates – an example of their combined voices in the pursuit of peace. Recognizing the important role that the media plays in our society, and the importance of telling the many positive success stories related to peace, the Youth Program also includes the Young Journalist Club opportunity as a specialized track within the Leading by Example program. The Young Journalists Club is a cohort-based educational program in which youth delegates pursuing a career in the mass media market are invited and carefully selected to cover the events of the World Summit of Nobel Peace Laureates with the full credentials of the press. While there, they are supported by the Permanent Secretariat’s Communications Team, and receive special access to the Nobel Peace Laureates for interviews, while also attending the press conferences of the event. The Permanent Secretariat’s Youth Team works diligently with Universities all throughout the world to implement a Curriculum in which history is told from the lens of peace. This work includes the implementation of a special curriculum created by The Permanent Secretariat’s Members and approved by Nobel Peace Laureates, as well as through the impressive book which tells the courageous lives of Nobel Laureates, Being Nobel, authored by Permanent Secretariat member, Livia Malcangio. This fascinating and informative book recounts the gripping stories of recent Nobel Peace Laureates and other extraordinary personalities, all committed to a future in which equality and freedom from oppression are the rule, rather than the exception.